More features. More functions. More settings. More buttons. More blades. Everyone loves a good multitasking tool. This is the way things go in an industry where modular, multi-function tools are the norm…There is a place for that kind of thing, but I would suggest that you are not always best served by a tool that tries to do everything. 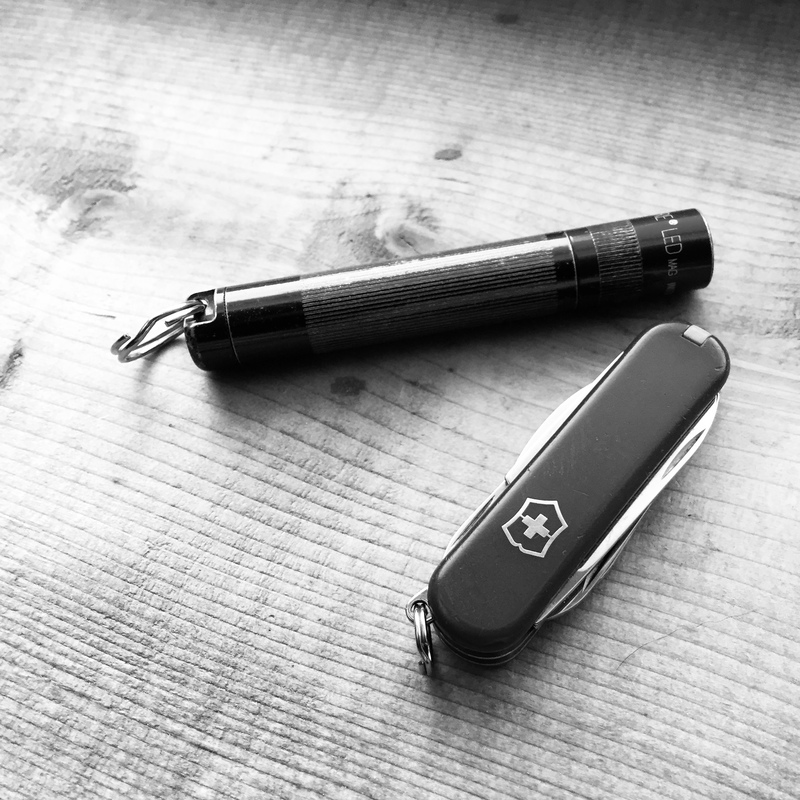 No one would carry a tourniquet with 4 modes of operation and a built in bottle opener because this type of simple, life saving equipment should be just that… simple. Yet, people will carry a flashlight with those features and a case could be made that the flashlight is just as important as the tourniquet. There are at least two parts of your every day carry gear that should be occupied by a unitasker if it isn’t already – knives and lights. Let’s get our terminology straight before go any further. When I type unitasker, I am not just referring to a tool that does one thing well. I am referring to a tool that does one thing well AND that is set aside only for that specific task. There are at least two very good reasons why your self defense knife should be a unitasker. First, the best and most intuitive self defense knife designs are marginal (or worse) as utility knives. Knives like the Spyderco P’Kal, Ka-Bar TDI, push knives, ShivWorks Clinch Pick, and similar are great self defense knives but they are not great letter openers. Sure, you could open letters with them but a tiny Victorinox Classic would be easier to use. The second reason is more broadly applicable to knives that may be good utility designs but also have merit as defensive knives (think Spyderco Delica or Benchmade Griptilian). That hair splitting edge you work so hard to achieve of your defensive knife is going to loose a little something every time you use it. After a week of cutting cardboard, zip ties, envelopes, loose threads, rope, and everything else you cut on a daily basis, are you confident that your knife still has the edge you want? The reasons to carry a unitasker light boil down to maximizing output, maximizing ease of use under stress, and ensuring your light is ready when you need it. When it comes to output, I want all the light I can get when things go bad. If I am just poking around under my desk looking for something I dropped, I don’t want or need 1500 lumens. It is tempting to say I should just get a multi-mode light to deal with this problem but then we would bump up against another problem – user interface/ease of use. 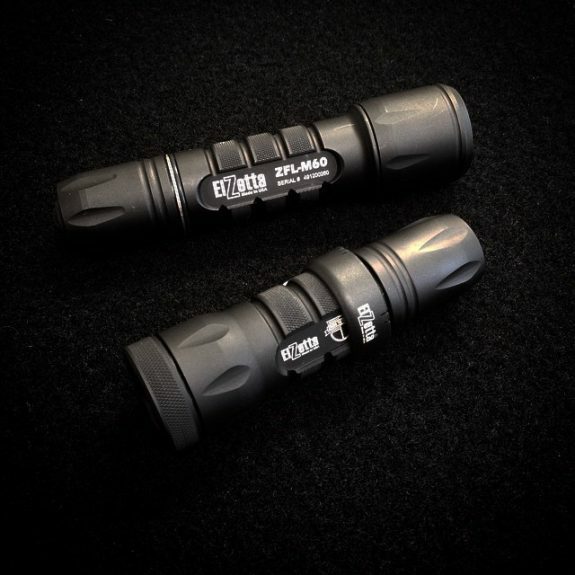 I’m a simple man and I like simple user interfaces on self defense lights. I don’t want anything more complicated than push-button-get-light… lots and lots of light. When you are trying to control a flashlight while you talk your way out of a situation, or (heaven forbid) trying to track sights and control a trigger, push-button-get-light is best. A good self defense oriented light will have a simple user interface and a switch that is designed to be operated in the ways that a self defense light may have to be operated. For a utility light, I am more tolerant of more complicated user interfaces because all those extra modes can be useful. The last reason your self defense light should be a unitasker is very much like the second argument for the unitasker knife. If you are like me, you use flashlights all the time. You are loosing a little juice every time you use the light. Heck, those nasty little buggers are sitting in your light right now self discharging! If you use your light for 5 minutes here, 30 minutes there, and who knows how many short bursts trying to find the darn key hole… Can you really be sure your light will be ready to go when you need it? These utility items don’t have to be big. They also don’t have to be carried in priority locations like you should carry your dedicated self defense tools. Most of your utility tasks could likely be handled by key chain sized tools like a small Swiss Army Knife and Maglite Solitaire. You can scale these items based on your needs but we are talking about small, lightweight tools, that can be carried in more out of the way locations. You can handle that. The additional benefit here is that you can keep a lower profile with these smaller tools. 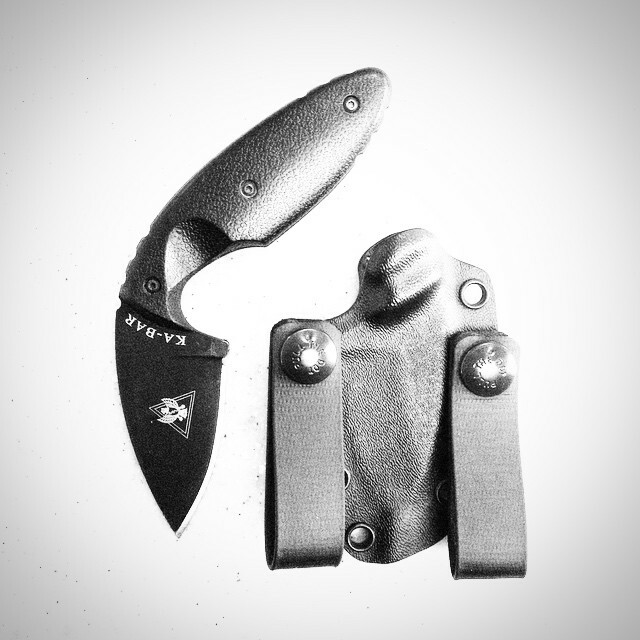 Mark Greenman wrote a great article outlining his “Public Knife” concept. For many people, something the size of a Spyderco Delica is a “big knife” and you are drawing attention to yourself when you whip it out in the office to pick a splinter. This isn’t about being politically correct. This is about being discreet. If you have made the choice to carry tools like a flashlight and knife with a self defense mindset, you have already acknowledged that there may be a need for such tools. Doesn’t also make sense to keep these tools as ready as they can be? This is an excellent article, Matt! Thanks! I concur – when I want light I want lots of it RFN. On-Off. Dark, not-dark. I will tolerate a On-Off control that allows a partial press to easily toggle between dark and not-dark, but it better have a constant on with a full press and no other options.. For limited, or frequent, dark repellant uses I carry a Streamlight LED penlight. I actually carry three knives: a 3.5″ fixed blade double-edged razor-sharp attached to the shoulder holster, a 3.75″ automatic with a pocket clip, and a generic Swiss Army for everyday tasks. I cannot entirely agree with you on the unitasker flashlight. The increasing commonality of 18650 lights are making some of your points kinda moot. A. Carry the light on 150 to 200 lumen modes. This is generally plenty of light for both blinding and general area searching. B. Tail click with momentary is best for defensive work. You just can’t index a side button as fast on a holster or a pant clip draw. But make sure the light will use the last light mode used or will default back to full. I find two button lights like the Fenix LD12 or the Acebeam e35 to be perfect. Tail on and off and another button for mode selection. C. My acebeam will do 200 lumens for about 8 hours on a full battery. I work two nights a week as the overnight security for a resort. I’m outside the entire time in the dark and use my light a lot. I don’t run out of juice. Spare batteries should be carried for all lights though. Lithium batteries have a long life in a glove box for emergencies.